This tour takes you to a part of India that is legendary for its beaches and beauty. You’ll spend 14 days exploring the art, religion, and natural beauty of a small archipelago in the Bay of Bengal. Your journey begins in Chennai, the “first city of Southern India.” After resting in Chennai, you’ll travel to Mahabalipuram, the world famous for the temples that populate its shores. There will be a private guided tour for you to discover miles of unspoilt beach and uniquely stunning rock-cut art that depicts scenes of day-to-day life – a contrast from other areas of India where the art generally honours Hindu gods and goddesses. The journey continues as you fly from Jaipur to Port Blair, the capital of the Andaman Islands. Enjoy the lively atmosphere of this Indian market town and check out some amazing views on one of the many hills nearby. Whether you prefer to relax on the beach, join in some water sports, or to check out marine life on the reefs, Port Blair is a great introduction to the islands. Next, you’ll explore the largest of the islands, Havelock. With its white sand beaches, dense evergreen forests, and rich marine life, Havelock is a popular tourist destination. It’s one of the few places in the archipelago where tourism development is encouraged, and we love their focus on eco-tourism as they grow. When it’s time to leave the islands, you’ll head to Covelong – a dreamy village located just 40 kms away from the wonderfully busy chaos of Chennai. The coastline here has gentle waves that entice people to come and relax under the swaying palm trees. Another of our favourites? The seafood here is excellent. This is a journey for anyone looking for a relaxing holiday while still being able to soak up the culture and colour of India. 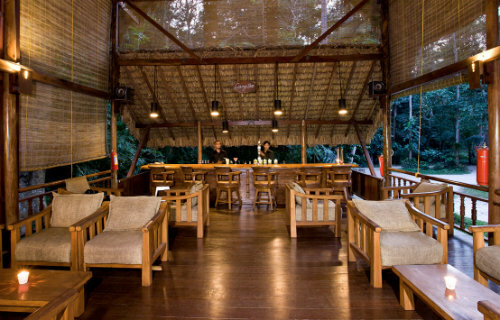 The Andaman Islands have been known to take both your breath and your cares away. MAHABALIPURAM: Full of UNESCO World Heritage-listed carvings and temples, Mahabalipuram site, was once a major seaport for the ancient Pallava kingdom, which was also responsible for much of the stunning architecture you see here today. Considered to look especially beautiful during sunset, these temples can truly take the breath away. Factor in all that coastal beauty and you have a hidden gem on your hands. It’s not all ancient and historic, though. Mamallapuram also has a popular traveller ghetto where you get all kinds of dishes, souvenir items, and shops. If you’re looking for a small, laid-back town that can be easily explored via a day tour from Chennai, this is where you need to be! PORT BLAIR: The administrative capital of the Andaman Islands, Port Blair, is the only town of any size on the islands. It’s pleasantly situated around a harbour on the east coast of South Andaman, and has the lively air of an Indian market town. It is a hilly town, so there are good views from a number of vantage points. There is enough to do particularly if you enjoy a beach holiday with its related water sports, especially the fascinating marine life on the reefs, or bird watching and fishing. The major tourist attraction is the Cellular Jail, preserved as a shrine to India’s freedom fighters. There is also an interesting Samudrika Marine Museum which is divided into five galleries covering the history and geography of islands, their people, marine life and marine archaeology. Some of 350 species found in the sea around the islands are displayed in the Fisheries Museum. At Anthropological Museum, there are displays of tools, dress and photographs of the indigenous tribes. HAVELOCK ISLAND: Havelock Island or Havelock, situated in Ritchie’s Archipelago, belongs to the Indian Union Territory of Andaman & Nicobar. 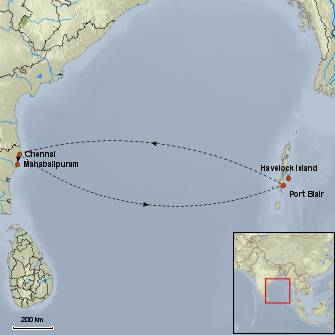 Havelock Island is the largest among all the islands in Ritchie’s Archipelago. Havelock is a major tourist destination owing to its rich marine life, white sand beaches and dense evergreen forests. The island is named after Henry Havelock, a British general active in India. It is one of the few places that the administration of the Andaman and Nicobar Islands union territory of India has permitted and encouraged development of tourism, with a focus on promoting eco-tourism. Havelock Island was once home to the indigenous tribes who spoke Aka-Bale language. The tribal population of Havelock Island declined greatly during the era of colonisation of Andaman & Nicobar by the British. The original natives of Havelock Island have gone extinct and the Island is now occupied mostly by Bengali and Myanmar immigrants. CHENNAI: Chaotic streets, scorching heat and the sheer absence of world famous sights. You’d expect Chennai to be the poor cousin, the most ignored metro of India. But that’s because you haven’t heard of its magnificent traditions, beautiful customs, and super-friendly people. Any city that believes offering food to others to be a service is sure to be a treat for your taste buds. Authentic dishes such as rasam, kootu, and fish curry steal your heart, and that strong Tamil coffee is exactly what those caffeine dreams are made up of. Chennai has also managed to turn up the heat, with glitzy nightclubs, cosmo shopping malls, and multi-cuisine restaurants staying open till late, but it’s still all about meeting people, eating, drinking and exploring the local way of life. Depart today with British Airways direct to Chennai, arriving early tomorrow morning. VIP meet at aircraft door, assistant through baggage control, then outside the airport to meet our local representatives, where you will be meet at the arrivals door then transferred to your hotel. Globally renown for its shore temples, Mahabalipuram was the second capital of the Pallava kings of Kanchipuram. Mahabalipuram is a small village set in a boulder – strewn landscape. Tourists are drawn to this place by its miles of unspoiled beach and rock-cut art. The sculpture, here, is particularly interesting because it shows scenes of day-to- day life, in contrast with the rest of the state of Tamil Nadu, where the carvings generally depict gods and goddesses. Today is at leisure to relax at your hotel or beachside to soak up the sun. 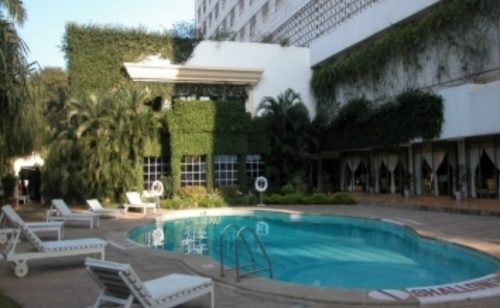 Arrive Port Blair and Check-in at your hotel. This is closest you get to feeling like Robinson Crusoe. 362 volcanic islands scattered in the Bay of Bengal, only 37 of these are inhabited. These lush green islands have a colourful historical past, with strings of invasions by the French, Dutch, Japanese and British, raging wars between settlers and the native tribes. The tropical rain forests that loom close to the seashore are home to unique species of birds, and to tribes that still haven’t learned to use fire. Port Blair is an experience quite unlike another. In the afternoon, you will proceed for half-day sightseeing tour of Port Blair including The Cellular Jail. Cellular Jail, located at Port Blair, stood mute witness to the tortures meted out to the freedom fighters, who were incarcerated in this jail. The Jail, completed in the year 1906, acquired the name cellular, because it is entirely made up of individual cells for the solitary confinement of the prisoners. It originally was a seven pronged, puce-colored building with a central tower acting as its fulcrum and a massive structure comprising honeycomb like corridors. The building was subsequently damaged and three out of the seven prongs are intact. The Jail, now a place of pilgrimage for all freedom loving people, has been declared a National Memorial. You will also see the Anthropological Museum, an interesting museum which gives the history of the various Andaman & Nicobar tribes. Today is a free day to either walk out and explore on your own or take a boat to Ross Island with its many old British buildings now in ruins, nature abounds here with many peacocks and deer. This morning you will be transferred to the jetty point for your boat to Havelock Island. As you approach Havelock Island, you will see dense rainforest canopies fringing shores, hugged by coral reefs and mangroves. Arrive Havelock and Check-in at your hotel. Rest of the day will be at leisure for independent services. Havelock Island or Havelock, situated in Ritchie’s Archipelago, belongs to the Indian Union Territory of Andaman & Nicobar. Havelock Island is the largest among all the islands in Ritchie’s Archipelago. Havelock is a major tourist destination owing to its rich marine life, white sand beaches and dense evergreen forests. The island is named after Henry Havelock, a British general active in India. It is one of the few places that the administration of the Andaman and Nicobar Islands union territory of India has permitted and encouraged development of tourism, with a focus on promoting eco-tourism. 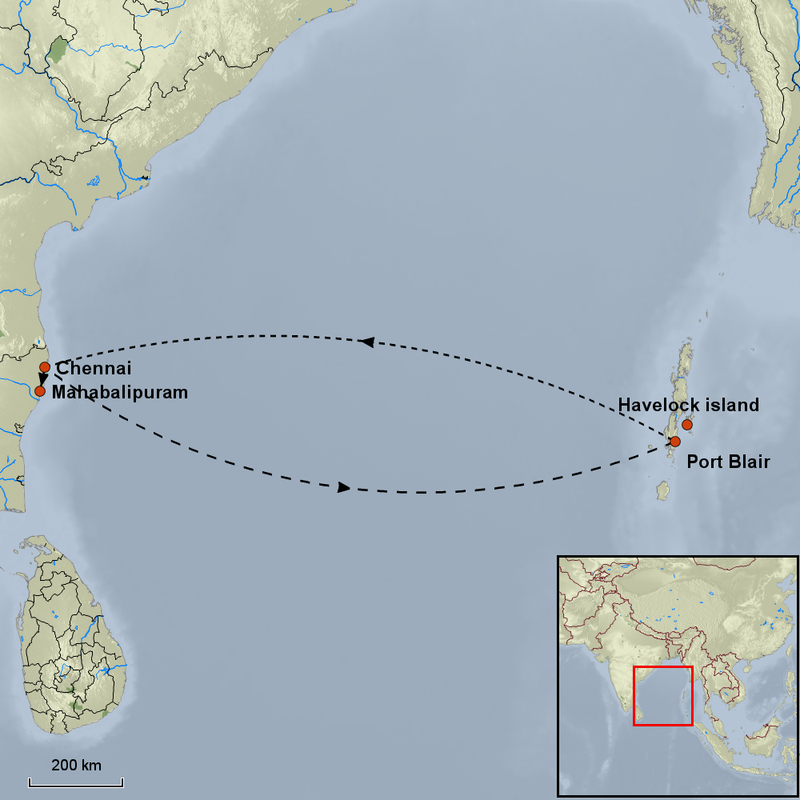 Today you will transfer back to Port Blair. Extra sightseeing to other beach locations can be arranged, of we will just leave you to relax at your hotel and explore the town yourself. 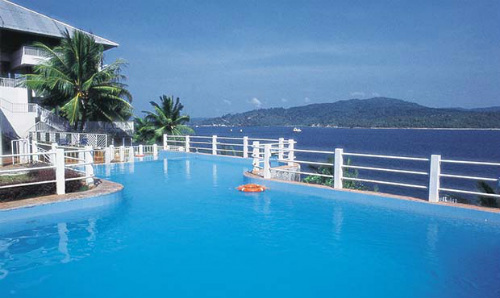 We include an extra night back in Port Blair in case there is a delay in the ferry service. Transfer to the airport for your flight back to the mainland to Chennai, on arrival meet and transfer to your hotel. The rest of the day is then at leisure. Today India bids you farewell with your transfer to the international airport for your homebound flight with British Airways direct to Heathrow. Set on 44 acres of ground right by the beach with views of the Shore Temples. 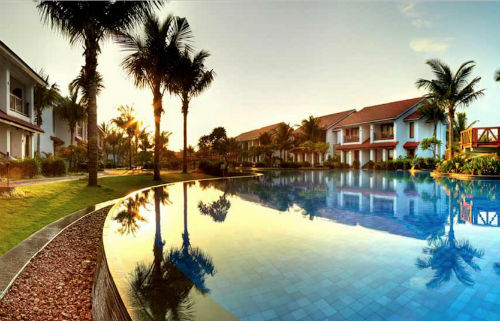 Comfortable rooms, chalets and villas with stunning views of the Bay of Bengal. Pool Villas offer a private swimming pool and hot tub and a patio or balcony. Set exclusively on the world famous Beach No.7 amidst pristine tropical forests, a holiday at the Barefoot at Havelock resort is an experience of a lifetime. 25 elegantly designed thatch tents, cottages and villas complete with spacious interiors, modern amenities and en suite bathrooms. Taj Coromandel is one of Chennai’s best-known landmarks and is the city’s only member of the exclusive “Leading Hotels of the World.” Named after the Coromandel Coast. 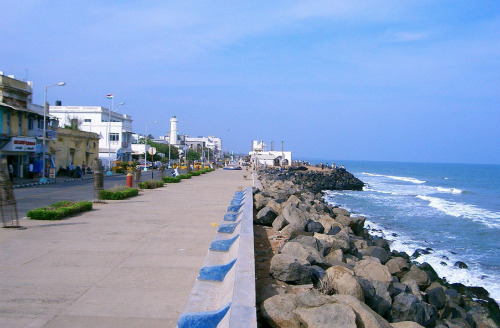 Pondicherry just 2 hours south of Mahabalipuram, ruled by the French till the year 1954, so you can still see the French culture having great significance here. It presents an intoxicating mix of French and sub-continental cultures, largely responsible for its boho-chic vibe and international acclaim.